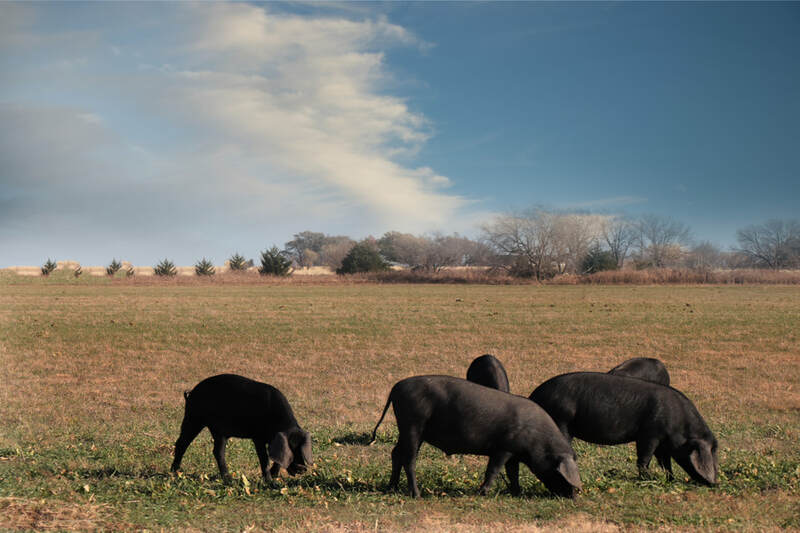 In August of 2015, five Large Black Hog gilts from Lindsey, OK moved to the Half Pound Farm in Tonkawa, OK to begin their pasture raised, non-GMO heritage hog operation on 155 beautiful acres. In November of the same year, Brian made the trek out to Colorado to get Chuck, Half Pound Farm’s boar. He rode back to the farm in a Ford Explorer, affectionately nicknamed the “bacon bus”. Half Pound Farm is a locally owned, small town, truly pasture raised, non-GMO farm. The sows are bred twice a year and farrow in their own area, not in farrowing crates. At no point are the soils treated with synthetic fertilizers, pesticides, or herbicides. Brian and Theresa are the sole owners and operators of Half Pound Farm and are actively involved in the local community. Brian was raised on a small farm in Central Texas and is a graduate of the University of Louisville with a degree in Industrial Engineering. Theresa is a graduate of Texas Tech University with a degree in Public Relations. She was also raised in Central Texas, but is a third generation Tonkawa, OK area farmer. 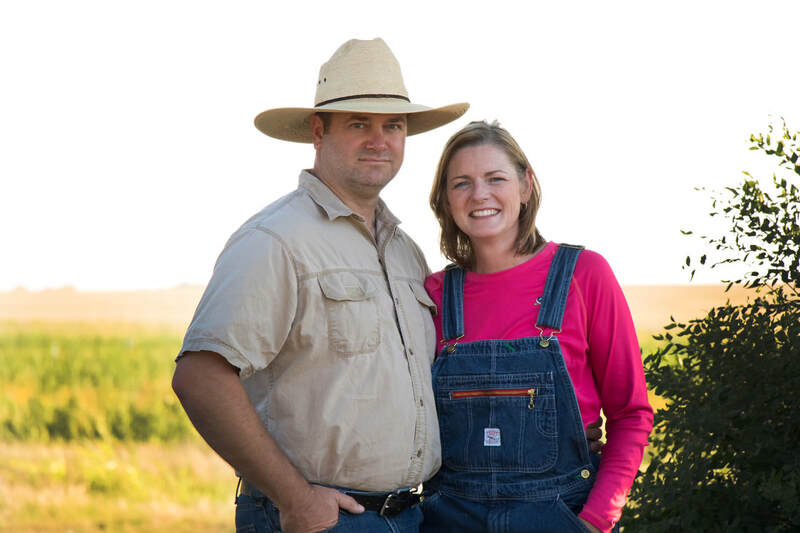 Brian has always had a passion for farming and his career brought he and Theresa to Oklahoma full-time where he was able to take that passion and put it to work with Half Pound Farm. Half Pound Farm’s Large Black Hogs are pasture raised on non-GMO crops. We are focused heavily on soil regeneration, and hogs are a part of that process. We utilize very little tillage and a diversity of crops, generally seven or more species at each planting. The hogs are rotated to new pasture as needed, typically weekly. The goal is to raise more nutritious pork by increasing nutrient density in forage through improving soil biology. The hogs are not treated with growth hormones or medicated feed. How can we help you? We would love to hear from you, answer any questions you may have or schedule a tour of Half Pound Farm!